Carole trained as an actor, and studied at The Neighborhood Playhouse, and with Uta Hagen at HB Studios, both in New York City. She has taken inspiration from the improvisational exercises of Viola Spolin and the work of Stella Adler. Carole has performed in numerous off-Broadway productions, as both an actor and a singer, and in regional theater in the U.S. and Canada. She has a doctorate from New York University in Cinema Studies, and taught Film Studies at The Mel Hoppenheim School of Cinema, Concordia University (Montreal, Canada) for 3 decades. She is the first university professor in Canada to design a course specifically devoted to film acting. 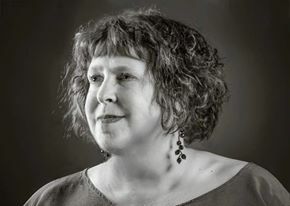 Carole is the author of seven books, including Figures of Light (Plenum, 1995,) Interviews with American Film Actors and Directors and In the Company of Actors (A & C Black, 1999,) and Conversations with Actors on Film, Television and Stage Performance, two collections of interviews with well-known British and Irish actors. In the Company was extracted in The Sunday London Times. Her other books include: The Cinema of Neil Jordan: Dark Carnival, and most recently, Interviews: Neil Jordan. Carole has lectured widely on performance in the US, Canada, and various locations in Europe. She has written essays for many of the major film journals in the US and Canada. Carole’s research has been supported since 1990 by multi-year arts awards from the Social Sciences and Humanities Council, Canada (SSHRC.) Her specialties include film acting; script analysis and New German Cinema. In 2013 she was awarded a Harry Ransom Center Research Fellowship in the Humanities for her latest project, to examine the archival holdings (at the University of Texas, Austin) of the great American acting teacher, Stella Adler. Zucker was also a member of a country rock band, and written feature-length screenplays and creative fiction. Carole has studied Mindfulness and Meditation, which she uses in her acting workshops and studied with the well-known vocalization teacher, Arthur Lessac, as well as other voice teachers. Carole has taught workshops at the Flynn Center for the Performing Arts and The Off Center for Dramatic Arts in Burlington, Vermont. Zucker taught Scene Study and the Meisner Technique in Montreal for over 20 years, and now makes her home in Portland, OR. She has thus far taught at The Portland Actors Conservatory and at The Portland Playhouse and now at Vision8Studio. Additionally, Carole has taught Intensive Meisner Technique, Script Interpretation and Text, and does private coaching of scenes and audition pieces. ​“As a rookie actor, I was nervous if I had the chops for this class. Not once did I feel embarrassed due to my lack of film and/or theatre history. In fact, it was the complete opposite; Carole is the straight-shooting, intelligent, sweet, funny Jewish nana you wish you had growing up. She has an encyclopedic knowledge of film and theatre and shares it with joy. That is the spine of Carole – truth in acting, being true to yourself. And that was one of the main tenants of this class-figuring out the spine of each play or film. We discussed the motivations, desires and obstacles each character faced in the script and how the actors went about it. We were given one piece to read each week and then we watched, sometimes multiple versions, of how each actor portrayed their own truth. Carole is an inspiring teacher who somehow brings out who we want to be – our higher selves. What more could you ask for? I highly recommend her class to anyone who wishes to explore the gifts of film and theatre, really to anyone who wants to explore themselves." "This class was a delight. Each week brought unexpected discoveries as the actors and directors transformed words on a page into compelling characters and story on the screen. Having the scripts and screen plays well in advance of each class enabled us to really focus on the film. I was struck by the learning that occurred simply by watching and listening. Carole did not disappoint. She painstakingly prepares for each class and always brings her love of film and theatre to the classroom. It really boils down to reading followed by focused watching and listening. Then this magical thing happens and you have these new insights into acting." "The Script Interpretation & Text Analysis workshop was a very engaging experience. We studied a different film each week, all adapted from books or plays, and compared clips from different versions. Carole has interviewed a lot of actors and directors and offers a studied examination on the approach an actor takes based on the material, direction, and who they’re acting with. For every film, she had chosen key scenes to focus on. We broke down the emotional beats from moment to moment. I’ve always loved watching films and studying them. In this workshop, I became attuned to certain aspects of performances I wasn’t aware of before. The part I appreciated most was seeing how much a character can change simply based on whoever is playing the part and what they bring to it. For example, we watched the version of Death of a Salesman with Lee J. Cobb, and then watched clips from the Dustin Hoffman/Volker Schlondorff t.v. film, and an extract from Brian Dennehy’s interpretation. The workshop was a very casual, low-pressure environment. Everyone was invited to participate. Among the films/plays we covered were Splendor in the Grass, A Streetcar Named Desire, The Postman Always Rings Twice, Days of Wine and Roses (both the original Playhouse 90 version and Blake Edwards’ film,) The Seagull, Long Day’s Journey into Night, Death of a Salesman, and Hamlet. Carole provides a welcoming, challenging and stimulating environment for anyone interested in the craft of acting, writing, directing, and everything in between."